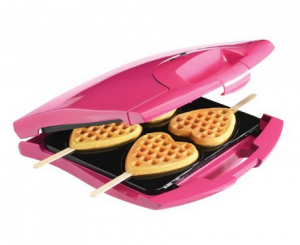 Head over to Amazon where you can purchase this fun Heart Shaped Waffle Maker on sale for $29.99. This would be darling for Easter or Mother’s Day morning. Plus, shipping is FREE with Amazon Prime or with Super Saver Shipping on orders of $35 or more. Be sure to check out all of the great reviews!